This is registration for our event volunteers. Before registering, please take a look at all available positions and the shift (time AND day) that you are required to be present and select your position and shift. You will see the volunteer title and shift on the registration page. DESCRIPTION: Assembles sport bags with items in an organized neat manner. Must be 13 yrs or older, and accompanied by an adult. Must be able to move quickly and at a steady pace performing repetitive actions. Keeps like item assembled in the designed area and stocked. Approximate time needed is 4 to 5 hours. On the job training will be provided. DESCRIPTION: Assembles bib packets with marcher items in an organized neat manner. Must be 13 years or older, and accompanied by an adult. Must be able to move quickly and at a steady pace performing repetitive actions. Keeps like item assembled in the designed area and stocked. On the job training will be provided. REPORT TO: Sky Clarke at the Bell Gym, 236 Picatinny Ave, WSMR NM 88002. DESCRIPTION: Assist in retrieving the marcher bags after participant’s process through packet pick up. Must be able to stand for long periods of time. Will be moving from station to station to retrieve sport bags. DESCRIPTION: Assist Bataan Director in directing participants through the packet pick-up lines and provide information when needed. Keeps lines moving. 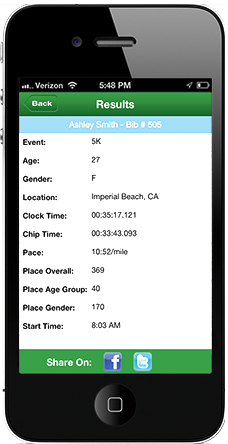 DESCRIPTION: Assist the FMWR personnel with processing participants through the packet pick up. Must be able to stand for longer period of times, move quickly. Volunteers will be pulling packets and moving from station to station. Some volunteers may help verify marcher's registration and print certificates. Must be able to type and be computer literate. DESCRIPTION: Assist with bib check, marcher's will waive packets over scanner and volunteer will ensure info on screen is correct. Must be able to stand long periods of time. On the job training will be provided. DESCRIPTION: Assemble frames with mats and certificates. Must be able to stand for extended period of time. On the job training will be provided. DESCRIPTION: Available to all participants to answer general questions, distribute area maps, and give directions. Must be able to sit and stand for extended periods of time and familiarize themselves with details of the Bataan March, WSMR and Las Cruces area. On the job training will be provided with question response guidance. It is advised to review the Bataan March website in advance before volunteering for this position. DESCRIPTION: Assist FMWR personnel in taking care of the survivor’s during the “Meet the Survivors of Bataan” On the job training will be provided. DESCRIPTION: Assist FMWR personnel with accountability of DQ marcher’s. Help marcher off bus/vans and ensure bibs are scanned. Assist with turning in scanner info to official timing location. Requires standing for extended period of time and being outside in the elements. On the job training will be provided. DESCRIPTION: Water point 1 volunteers are responsible for directing marcher;'s and keeping them on the correct course, in addition to ensuring no marchers are straying off correct route. DESCRIPTION: Hand finisher coins to each marcher crossing finish line. Must be able to move fast. This area is not a big area and volunteers must stay back as marchers cross line to complete their time. REPORT TO: Andy Armendariz, at finish line food donation location. Frontier Club, Bldg. 1330. DESCRIPTION: Verify weight of ruck sacks after marcher's cross finish line. Ensure weight is accurate and meets criteria of each category. Must be able to stand for extended period of time in the elements and able to lift 35+ pounds. On the job training will be provide. DESCRIPTION: Must be able to secure and organize lost and founds items (such as clothes) until ownership can be determined. Answer basic question and provide maps when needed. On the job training will be provided. REPORT TO: Shelly Lowe, in front of Frontier Club located at 1330 Martin Luther King, WSMR, NM 88002. DESCRIPTION: Assist FMWR personnel bussing tables, cleaning dining room, and keeping beverages stocked during regular breakfast service. Must be able to stand for extended period of time, move at a steady pace, and lift 20-40 pounds. On the job training will be provided. DESCRIPTION: Assist FMWR Staff during the Pasta Buffet Dinner on the eve of the march bussing tables, wiping down tables stocking dish wear and drink ear. Must be able to stand for extended period of time, move at a steady pace, and lift 20-40 pounds. DESCRIPTION: Assist FMWR Staff in provide ng breakfast service to the Bataan Survivor’s. Must be able to stand and walk for extended period of time carry trays of food and dishes. On the job training will be provided. REPORT TO: Ben Meyrand, Frontier Club 1330 Martin Luther King, WSMR NM 88002. DESCRIPTION: Assist Frontier Club staff collecting trash, moving product, and general organization during food service operations. must be able to stand for extended periods of time, move at a steady pace, and lift up o 40 pounds. On the job training will be provided. Food Handler's certification not required. DESCRIPTION: Assist FMWR Marketing Personnel in placing and removing sponsorship signs, banners around the course. Must be able to stand for extended period of time, lift up to 30 pounds, and be dressed comfortably. On the job training will be provided. DESCRIPTION: Assist FMWR staff in customer service, displaying and organizing merchandise, take merchandise to cashiers for customers, re-stock merchandise throughout their shift. REPORT TO: Ingrid Caesar, Las Cruces Convention Center, 680 E. University Ave, Las Cruces, NM Thursday through Saturday. Report to Bldg. 1330 Martin Luther King Ave, WSMR, NM 88002 on Sunday.